I am the sole owner and builder of this website and is not associated with any other business or companies. 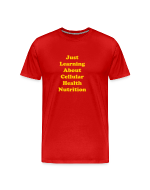 I have incorporated content from various sources including websites, articles, and books to assist people who are in quest of information on health nutrition for wellness will be able to locate the information. The content is brought to you free of charge and it is my sincere desire that you gain the maximum benefit from the information. Your contribution and support will be highly appreciated. It cost money to maintain this website and I only receive a referral commission sometimes when someone makes a purchase. This helps me to continuously update, maintain, and provide content that is current and up to date. My objective is to provide content that will be of value and help so people can achieve good health and maintain a healthy lifestyle through this medium that provides the information. The opinions and views that are expressed on this site "health Nutrition for Wellness are strictly my own. All information, statistics, claims, products, statements, relating to products or services must be referred or verified with the manufacturer or any party involved. The products and services featured on this site are recommended based on the fact that I believe they can be of benefit to visitors visiting 'health nutrition For Wellness" website in my opinion. All products and questions should be directed and verified with the relevant company or manufacturer.